We’ve been aware of Jazeera Cafe (16 Paisley Street, Footscray) for a long time, but simply haven’t gotten around to visiting until now. No doubt because we’ve established such a happy groove in going to Racecourse Road, Flemington, when we desire Somalian food. However, recently CTS friend Juz has given Jazeera a couple of goes – and his feedback has been heartening. I suspect there may be a menu available here … but our ordering is reduced to admirable, happy simplicity. And with that – and a big smile – our server disappears into the kitchen. We understand that on a low-key week night, we’re going to get what’s actually in the kitchen – or nothing at all. As it turns, what we are provided is what we would’ve ordered anyway – soup, lamb, rice. 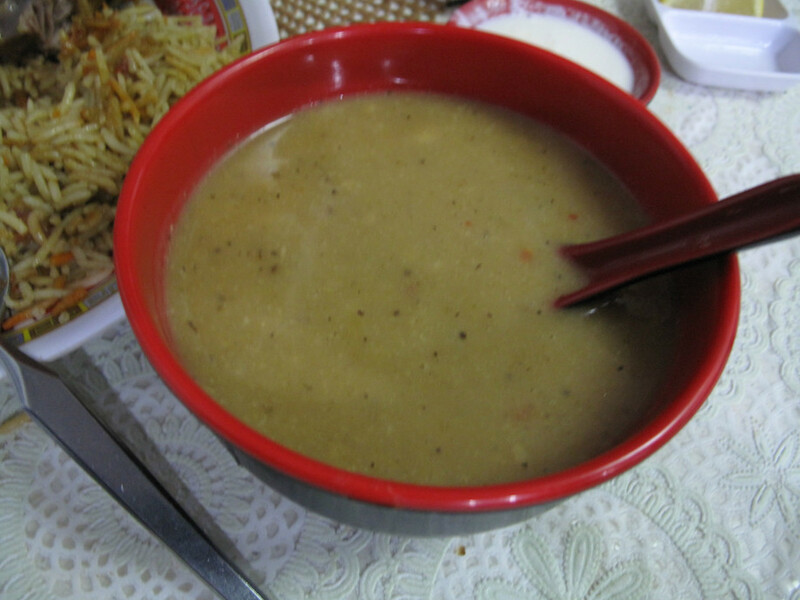 The soup is thicker than we’ve become used to elsewhere – more like a cream soup or a chowder. It’s fine, but doesn’t have the zesty, lemony tang we love so much. Our rice platter is most excellent. 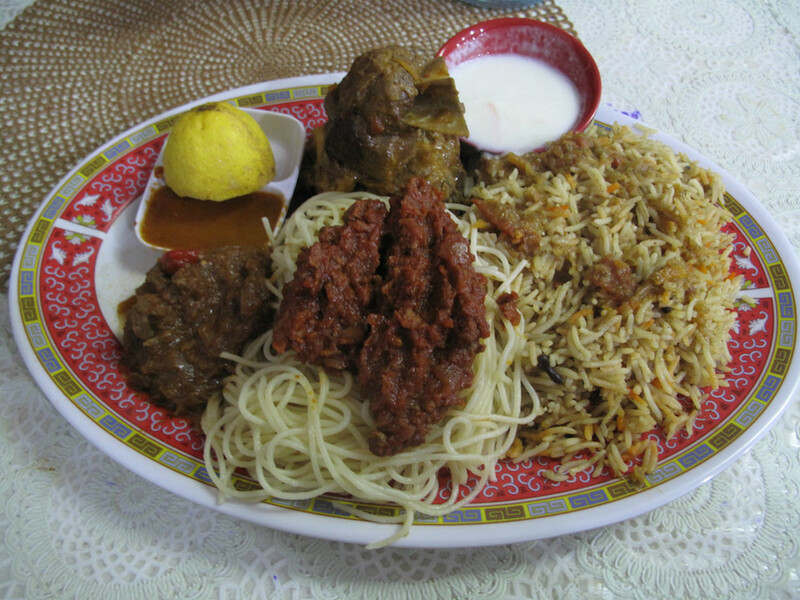 It could be described as “lamb three ways” – there’s a stew, a sort-of Somalian bolognese atop the spaghetti and a big, meaty piece of braised/baked sheep meat. Bennie has already eaten elsewhere this night, so our $15 meal does fine for both of us. And as ever, it’s the fabulous, fragrant rice that crowns our dining as top notch. No menu, no problem – we liked it. I think she thought we didn’t know what we were getting into. All good. The menu is the pictures on the window, you can see them in the top photo. Lamb with rice… chicken with rice… etc. Simple, tasty! the whole place looks different,hard to recongnise,it looked much cooler before,now it looks so simple,the only thing i can recognise is coffee machine,everything else went downward simple,why! hamza it looks different but ok yes different to before but its cosy joint. I think before the decor was a little too much, footscray’s white community was small back then,but now white community are moving into footscray, probably in future jazeera may go hipster decor,but now it suits and fits well its surroundings. Didn’t mean the place is bad now,just different i mean.you are right future when they feel wind,things may be rearranged.at arcade corridor kulan sits at the gate ready for the windy already! Nothing was missing in that plate. Hard to read but window also says haramous cafe on the side! I’m thinking the name jazeera is the old name hasn’t yet deleted!! Sometimes it happens low key places! It could be haramous cake,but little chance,I’ll go for cafe instead cake,its not clear though. great to see our neighboring footscray doing alright.salute from flemington.and this blogger does good reviews on west mostly,salute to consider the sauce!! I think you guys(somalis) are puting your selves alot pressure on this somali mainstream talk. I’ve lived long enough melbourne,& been to many different ethnic neighborhoods,particularly those heavily concentrated one particular ethnic,Indian,Vietnamese, Arabs all, and i can confidently say somalis are most probably the most mainstream of all. 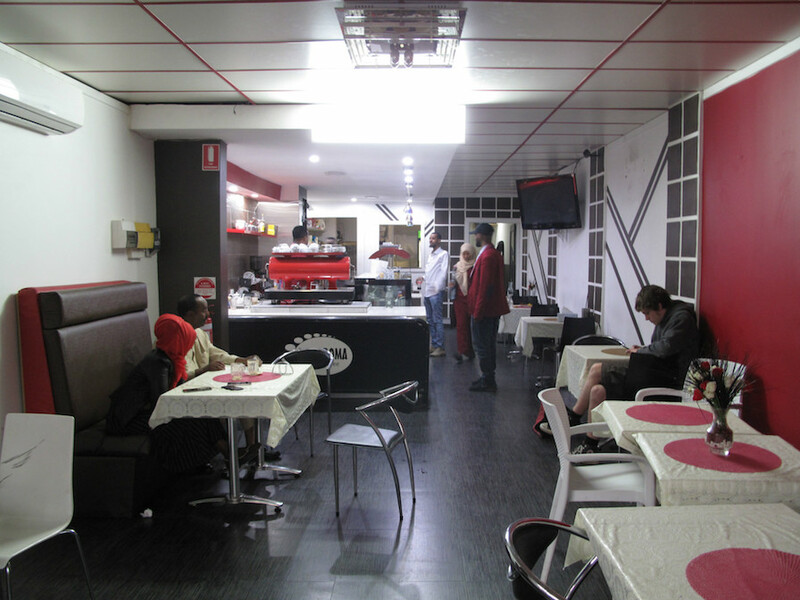 Go to sunshine and show me any viet restaurant that as mainstream #somalieats, show me any restaurant arab restaurant in heavily arab concentrated hoods that are as mainstream as new somali kitchen, west footscray Indian also show me any Indian restaurant that can be all white dinners like some of these somali cafes in flemington. Its clear fact,even though african community is very new,somali neighborhood demonstrated to be the most mainstream ethnic neighborhood restaurants already. I’ve even been to turkish kebabs in heavily turkish neighborhoods,and 99% of its dinners are people id turkish descent,same with other ethnic hoods. 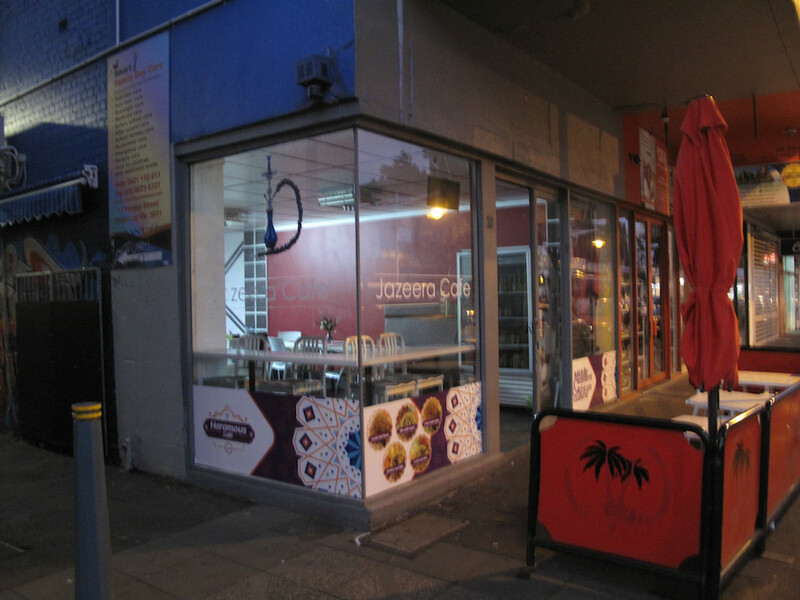 So somali neighborhood like flemington already did what older ethnic couldn’t achieve ,also when you consider the fact that many white australian have little contact with african community as african community is still new community and there is little chance african taking his white friend to somali cafes in flemington, yet still these somali cafes in flemington have more white dinners than those older heavily concentrated ethnic hoods like nothern suburb Arabs or sunshine. Thank you Zakaria. Couldn’t agree more. Take a short trip 2 Sydney rd Lebanese eateries,dinners can all speak arabic,2 b more specific Lebanese atmosphere. In my experience the only time u see arab,Vietnamese or indian restaurant full of white dinners is when the restaurant is located outside little India, little Vietnamese etc. Disagree – there are a heap of Viet and Indian restaurants in the west where white customers are there in big numbers or even in the majority. Only two Somalian places are like that. If we are counting friday night Saturday nights then it’s more than two somalian,its norm to see white people dinning in sahra kitchen ,house of mandi. But its not average 5 weekdays scene. There are many indian & viet restaurants where many white customers are there in big numbrs in the west ,true but “not every suburb in west is litlle india or little Vietnamese!. West footscray is little india & there is no scene “too many white customers “.so my opinion little somalia flemington still ranks top compared to other “little ethnic hoods”.and certainly last pic scene in sunshine or west footscray, i wasn’t overwhelmed by too many customers in those restaurant. Mumin great website. Thanks for posting it.